If your carpets seem like they are at its end and you don't know if you can get them cleaned, or stains you think will not come out, call USA Pro Carpet Care LLC. 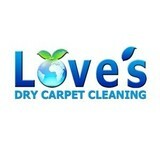 Best prices in town with the best results! Our professional cleaning services extend beyond carpet cleaning to furniture cleaning, tile and grout. Delta Steam offers a deep-cleaning method using state-of-the-art powerful truck mounted steam extraction systems and top of the line name brand hypo-allergenic, biodegradable and GREEN cleaning solutions! All of our trucks use soft, HOT, above 212 degree steam temperatures, which kills the bacteria as well as gets the dirt out, and we take the dirty water with us, no dumping on your property or in our water ways! Our staff is highly trained, extremely knowledgeable and always professional. Our technicians are radio dispatched, on time, in uniform and always ready to serve you. We are open 7 days a week and can usually provide same/next day service. 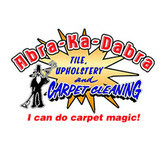 Backed by more than 25 years of experience, and in business for 15 years, our locally owned and family-operated company not only cleans carpet and upholstery but offers cleaning services for leather furniture, mattresses, tile, grout, and linoleum. We also offer mobile interior detailing of cars, trucks, RVs and boats and exterior power washing of garages, patios, driveways and sidewalks. Plus, we offer emergency 24-hour water extraction. 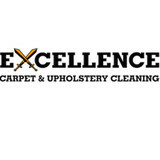 Delta Steam Carpet & Upholstery Cleaning services many cities including Tracy, Manteca, Stockton, Dublin, Pleasanton, Livermore, Brentwood, Discovery Bay and many more. 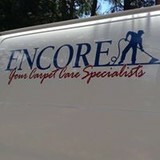 Servicing all of San Joaquin County and parts of Alameda and Contra Costa Counties. Combining years of experience with a dedication to client satisfaction, Mighty Clean Carpet & Tile Cleaning has established itself as the local leader in Tile and Grout Cleaning, Carpet Cleaning and Floor Cleaning. If you want quality, you’ll have confidence in choosing a Diamond Certified company. Diamond Certified ratings process of local companies is the most accurate in the Bay Area. Only those rated Highest in Quality in customer satisfaction earn Diamond Certified. Most companies can't qualify. Every Diamond Certified company must continue to deliver on its promises to you, the consumer. That's why they conduct ongoing customer satisfaction research, credential-based ratings, and monitor each company's performance. Then they back you up with mediation and the Diamond Certified Performance Guarantee. Diamond Certified Ratings are the Most Accurate Anywhere they survey a large random sample of each company's customers by telephone to get the most accurate ratings and to verify that only REAL customers are responding. By surveying from a company's entire customer base, they also ensure that the research results, good or bad, truly represent the company's customer satisfaction level. We keep the best in terest of our customer as our top priority and we give the best service with our products. For beautification, and the removal of stains, dirt, grit, sand, and allergens can be achieved by new carpet-care technologies. Special green technologies work better, are easier to use, save more time and money, and lead to less resoiling than prior methods.